Howlanders simplifies the process of booking tours and activities in Latin America by working directly with local operators. Tours and activities are the new trend in tourism, with an annual growth of more than 10%. The products of this segment are chosen by the customer called "independent traveler", who organizes the trip by booking flights, accommodation and excursions on his own. The tours offered by Howlanders are packages of 1 to 5 days duration that the client combines to complement their trip. At Howlanders travelers can book in Latin America at local prices, reliably, easily and with the guarantee of booking with a European agency. Achieve profit margins of up to 20%. They create their own network of suppliers, which brings great value to the company. Their product specialization strategy focused on a specific geographic area, combined with a global market, allows them to focus their organic and brand positioning efforts on a specific niche market, while reducing their marketing expenditure, increasing the profitability of their business. Howlanders is selected to participate in Bbooster's acceleration program. Participants in Lanzadera's acceleration program. 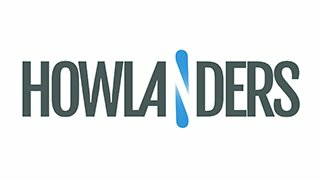 Howlanders achieves 100.000 € monthly income. New tours destinations included, already have more than 40 tours in 15 locations. Growth above 30% month-on-month in 2018. More than 80% of its sales are international in markets such as Germany, the United States and Australia. De-seasonalisation of sales due to internationalisation, allowing a stable sales volume to be maintained throughout the year. High profit margins from 15% to 20%, with a target of 25%. The tour sector is in the process of being digitized. Accumulated turnover in 2018 over 520,000€, achieved thanks to the growth generated by international sales and the increase in the catalogue. They have managed to go from a monthly turnover of 5,000 € in December 2017 to 100,000 € monthly in September 2018. More than 2,000 travelers have enjoyed their 2018 tours through Howlanders. Scalability thanks to catalog standardization and automation, which allows significant sales growth while maintaining a content team. Currently the team consists of 4 people with extensive experience in the sector, with efficiency in the use of key capital in Howlanders. The client is prioritizing activities at destination over other travel services. Why do I invest in Howlanders? Team: They have already shown me ambition, a desire to conquer the world and the ability to follow up, and so, make wonderful things happen. Business: one of the questions I worry about when I invest - however basic it may be - is "and who doesn't like it? In this case, it's not just travelling, but having an experience, paying for having an indelible memory such as an adventure trip through nature in a natural paradise. There are many people who are willing to pay for it. Coming from: despite being a young company, for me have gone through one of the best accelerators in Spain as is Bbooster. In addition, they are currently in one of the most important centres of value creation which is Lanzadera. Metrics: in such a short time and having few resources (people), they have been able to generate very reasonable metrics, double-digit margins and almost double the average of the sector; in addition to billing more than 80% outside Spain. I feel that with this first round of capital, with the money raised, we can reach an exponential level. Just by providing Howlanders with more employees, with a person dedicated to communication, to reaching markets, more clients, with another person dedicated to proposing more experiences, more routes, more countries, to diversify and deseasonalise the offer; it is possible to create a benchmark in adventure tourism worldwide. That's why I want to participate and be a part of it. Glad to keep talking about Howlanders." We confirm you have been unsubscribed from howlanders.